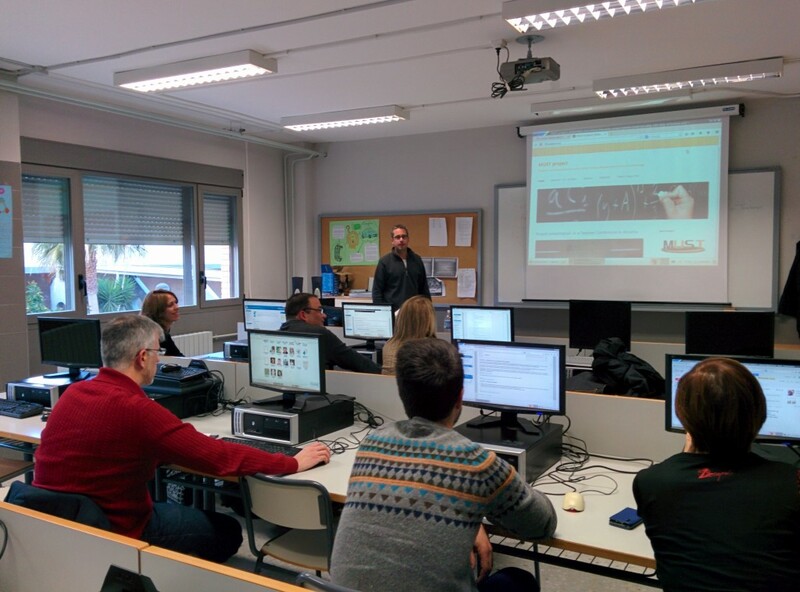 On 18th February the first teacher training course has started at La Vila Joiosa (Alicante). Emilio Moncho who is developing the Science materials for the project welcomed the participants and presented the project. Now the course development will continue via online till 27th March. This entry was posted in Moodle, Teacher Training on 19 February, 2015 by cabernat. 16th February 2015 held a meeting with representatives of E-Learning Center at AGH University of Science and Technology in Cracow: Agnieszka Chrząszcz and prof. Jan Kusiak. Forming Polish MUST team Bogusława Gniecka and Marian Talar took part in the appointment. The aim of the meeting was to set up a cooperation between our school and e-Learning Center to help in organization of our local Must on-line seminars in October 2015. 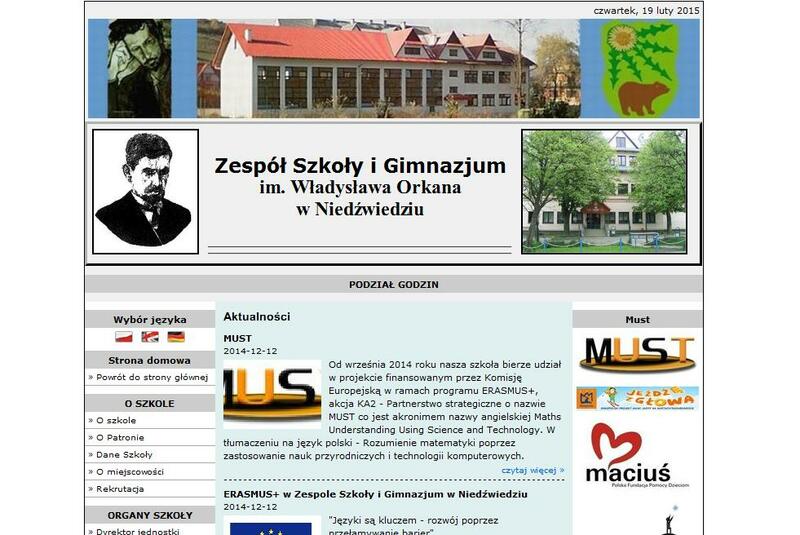 The e-Learning Center is the leading educational institution in the field of on-line education in Malopolska region. It will help us in dissemination of the results of our project – the final product – among the educational institutions in Poland. This entry was posted in erasmus+ ka2 on 19 February, 2015 by marian. 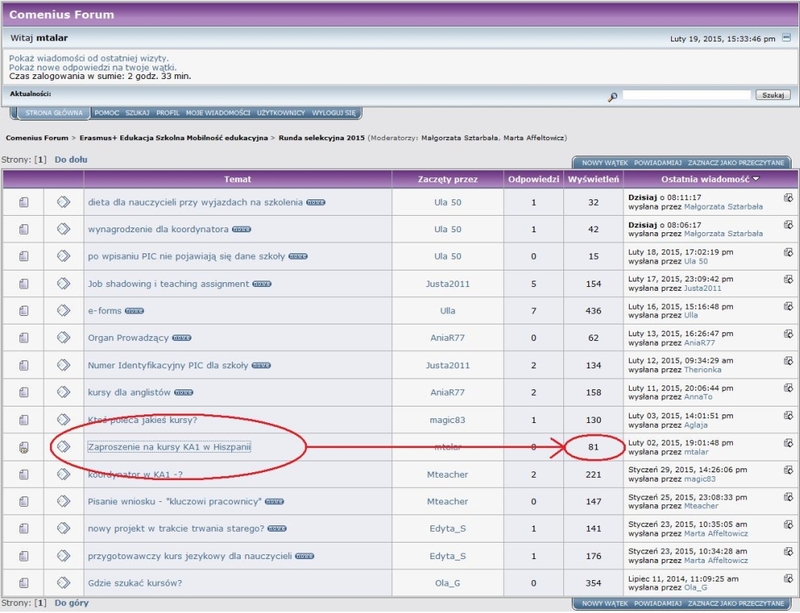 Starting from the December 2014 project MUST has been present on the big educational portal CEO. 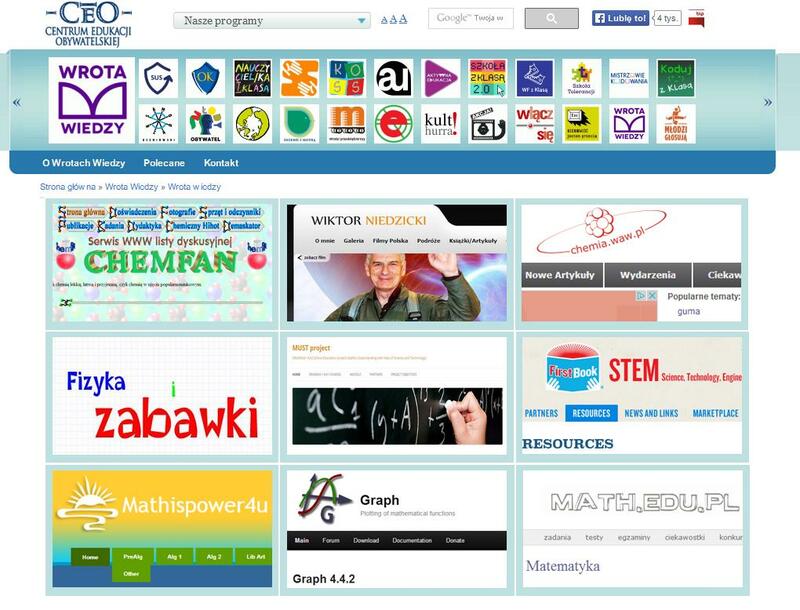 It is a huge database of different educational resources mainly in Polish language, but it contains English language resources too. The portal resources include various disciplines, with STEM resources among them. CEO is lead by Center for Civic Education Foundation in Warsaw. In January 2015 we announced on the ERASMUS+ Forum run by National Agency of Erasmus+ in Poland (former Comenius Forum) the MUST workshop in Benidorm in 2015. So far 81 people have read this announcement and there were some enquires concerning the workshop. 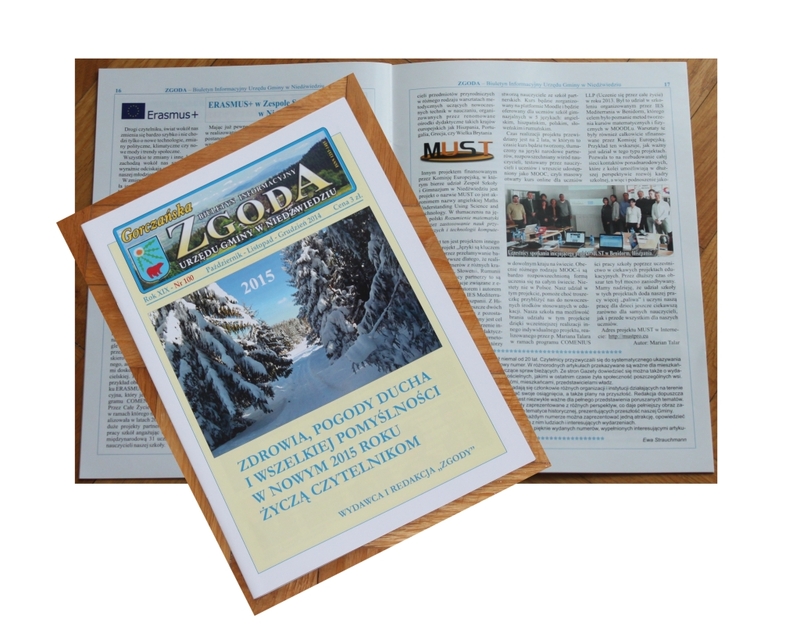 To present our project to our local community we sent an article to our local magazine “ZGODA” issued in the last quarter of 2014. We have also placed the information about the project on our school webpage. This way all the schools in our region are familiar with MUST project.